Associate Professor, Marketing Department, Miami University (1984-1997). Assistant Professor, Marketing Department, Miami University (1980-1984). Marketing and Quantitative Methods Instructor, Florida State University (1978-1980). Sales and Sales Management, Terminix International (1972-1974). Stearns, J. M. & Borna, S. (2006). The Ethics of Refund Anticipation Loans: An Exploratory Study. Business and Society Review. Borna, S., Stearns, J. M., Avila, R., & McCarthy, M. S. (2005). Obesity Effects and Interactions in the Sales Management Context: Social Category and Social Identity Explanations. Marketing Management. Stearns, J. M. & Borna, S. (2004). Beyond Prestige Pricing: Coverage of Counter-Intuitive Demand in Marketing Education. Marketing Education Review. Stearns, J. M., Borna, S., & Oakenfull, G. (2003). Buying for Love of Country: Assessing the Ethics of Patriotic Appeals in Advertising. Business and Society Review, 108 (4), 509-521. Stearns, J. M., Greenlee, T., & Ronald, K. (2003). Contexts for Communication: Teaching Expertise Through Case-Based In-Basket Exercises. Journal of Education for Business, 78 (4), 213-220. 2002: Phi Gamma Delta Commendation. 2001: Phi Gamma Delta Commendation. 2000: Teaching Award nominee, Farmer School of Business. 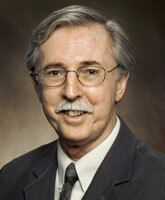 2000: Richard T. Farmer Teaching Award, Farmer School of Business. 2000: Phi Gamma Delta Commendation.